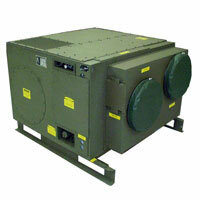 The AC-145-36 delivers 36,000 Btu/Hr. of cooling at 125°F and 6.55 kW heating. Weighing in at 265 pounds, the AC-145-36 delivers high performance in a lightweight, compact package. 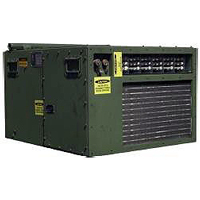 Our Chiller above the cab and two Heat Exchangers on the R and L aft locations enable the AN/TSC-156 to function in a wide variety of operational areas. 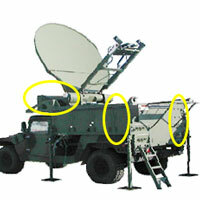 It is an ACAT III Program. 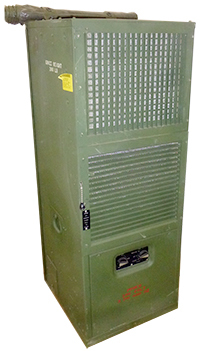 Mobile, rugged, tactical and flexible, the AN/TSQ-216 Remote Landing Site Tower (RLST) is the newest and most deployable air traffic control tower available. Delivered to the U.S.M.C. in 2001, the RLST serves remote landing sites and provides restorer service for established airports. 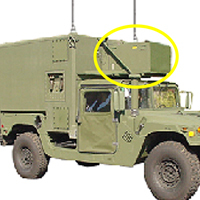 AN/TRC-215 Spiral 3, BCS-M is a low density/high demand (LD/HD) ground-based C2 node that supports the Joint Forces Air Component Commander in theater operations as well as homeland defense missions. Designed for Tandem Use with Controlling & Power Transfer Module.